Part of what I do as an anti-aging and alternative medicine doctor is travel the world in search of natural cures. And one of my favorite places to visit is Bali. Not just because it’s beautiful. What makes Bali so special to me is their centuries-old tradition of using the island’s plants and herbs as “medicine.” The Balinese know so much about harnessing nature’s power to cure disease, and they’ve passed this knowledge down from generation to generation. Some of Bali’s incredible healing plants and herbs are rare in the West, but others – like the papaya – can be found in farmer’s markets and grocery stores all across America. Papaya is native to South America, but it’s been part of Bali’s landscape – and healing tradition — for generations. The Balinese people use this tasty fruit (as well as the other parts of the papaya tree) to treat everything from diarrhea to malaria. 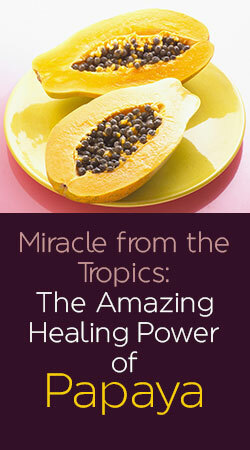 They may not know the science of why papaya is so powerful as a healing agent, but they can see the results. And in fact, science proves they know what they’re doing. 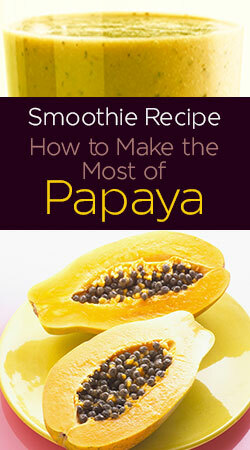 The papaya fruit is a potent pain reliever and anti-inflammatory, thanks to an enzyme called papain. Papain increases your body’s pain threshold, helps you recover more quickly from injury and reduces the free radicals that lead to inflammation. One study showed that papain was particularly effective at reducing inflammation in people with arthritis. But as an anti-aging doctor, I’d have to say that one of my favorite things about the papaya is its powerful anti-aging properties – thanks to its extremely high levels of vitamin C.
You see, in recent years, we’ve made a game-changing breakthrough in understanding how the aging process works. And it all comes down to a tiny “endcap” on each strand of DNA in your body. These endcaps are called telomeres, and they keep your DNA from unraveling. Each time your cells divide, your telomeres get shorter. And as they get shorter, your cells get weaker and act older. What many people don’t know is that most of the “diseases of aging” — like cancer, diabetes and heart disease — are associated with shorter telomeres. Research shows that with longer telomeres, you have a better chance to avoid almost every illness and disease. 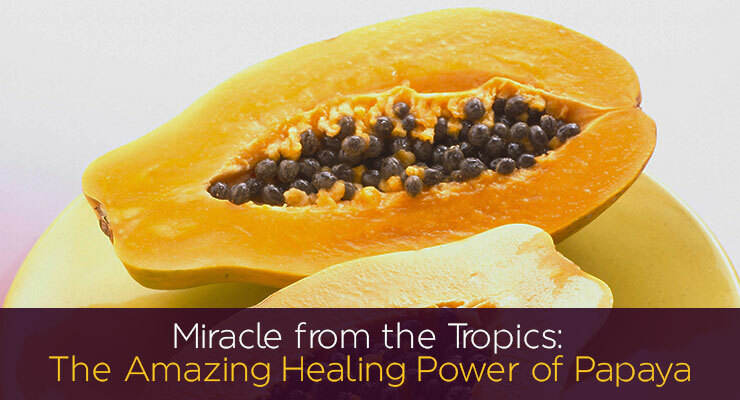 That’s where papaya’s vitamin C comes in – it protects telomeres. One Japanese study found that high levels of vitamin C slow down the shortening of telomeres up to 62%. Another study found vitamin C slowed telomere shortening in the DNA of skin cells. That means they kept their youthful, firm shape. Papaya is also packed with other compounds that have a dramatic anti-aging effect on the skin, like the carotenoids beta carotene and lycopene. These antioxidants protect your skin from free radicals in the environment and from damage caused by UV radiation. Lucky for us, papaya is widely available. And it’s pretty easy to grow papaya trees of your own if you live in a frost-free climate. I grow them in my backyard in South Florida. I pick them right off the tree and slice them up as a snack, but one of my favorite ways to use papaya is in a tropical smoothie packed with other health-boosting ingredients. Throw everything in the blender together and blend until smooth. Enjoy! 1 – B Rose, et al. Dose-dependent induction of IL-6 by plant-derived proteases in vitro. Clin Exp Immunol. 2006 Jan; 143(1): 85–92. 2 – Yokoo S, et al. Slow-down of age-dependent telomere shortening is executed in human skin keratinocytes by hormesis-like-effects of trace hydrogen peroxide or by anti-oxidative effects of pro-vitamin C in common concurrently with reduction of intracellular oxidative stress. J Cell Biochem. 2004;93(3):588-97. 3 – Otsuki N, Dang NH, Kumagai E, Kondo A, Iwata S, Morimoto CAqueous extract of Carica papaya leaves exhibits anti-tumor activity and immunomodulatory effects. J Ethnopharmacol. 2010 Feb 17;127(3):760-7. 4 – Li ZY, Wang Y, Shen WT, Zhou P. Content determination of benzyl glucosinolate and anti-cancer activity of itshydrolysis product in Carica papaya L. Asian Pac J Trop Med. 2012;5(3):231-3. Al Sears, MD is America’s #1 anti-aging doctor. 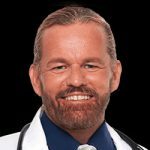 He’s made it his life’s work to challenge conventional medical beliefs and bring his patients the latest breakthroughs in natural cures and remedies to diseases once thought to be “incurable.” More than 25,000 patients travel from all around the world to visit him at the Sears Institute for Anti-Aging Medicine in beautiful Royal Palm Beach, Florida. Since 1999, Dr. Sears has published 35 books and reports on health and wellness. He has millions of loyal readers spread over 163 countries. His latest book, Healing Herbs of Paradise, features a full chapter on papaya, as well as dozens of other natural cures from Bali’s Garden of Eden.